Diwali for us Indians is the biggest festival , all in all. Firecrackers,gifts,sweets,cards and a lot of new things define Diwali and of course the Puja. 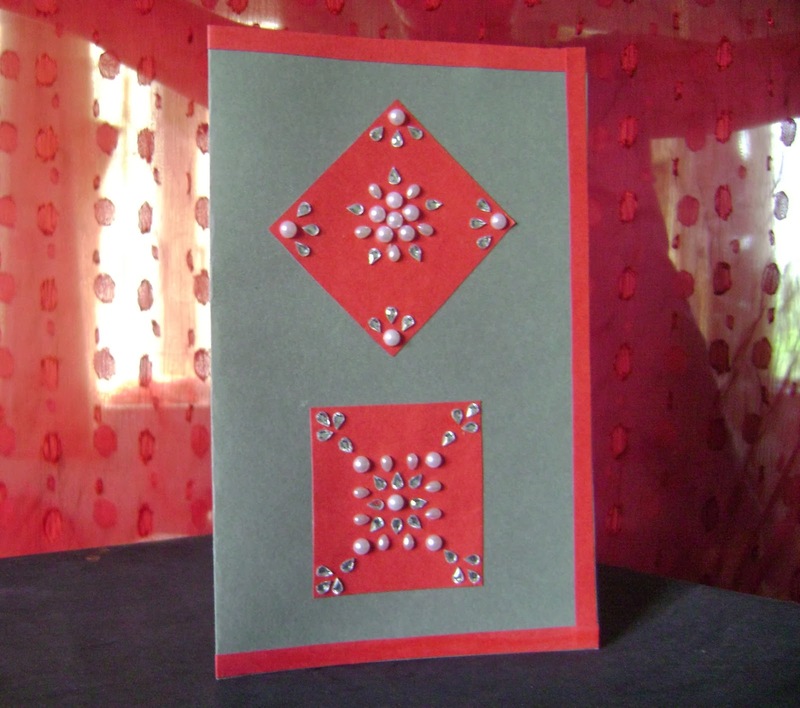 So keeping in mind Diwali I made this simple card with just a little bit of bling. read on to see what are the components! First cut out the base of your card. Then according to that cut out 2 red squares.I used 5x5 cm for the red squares. 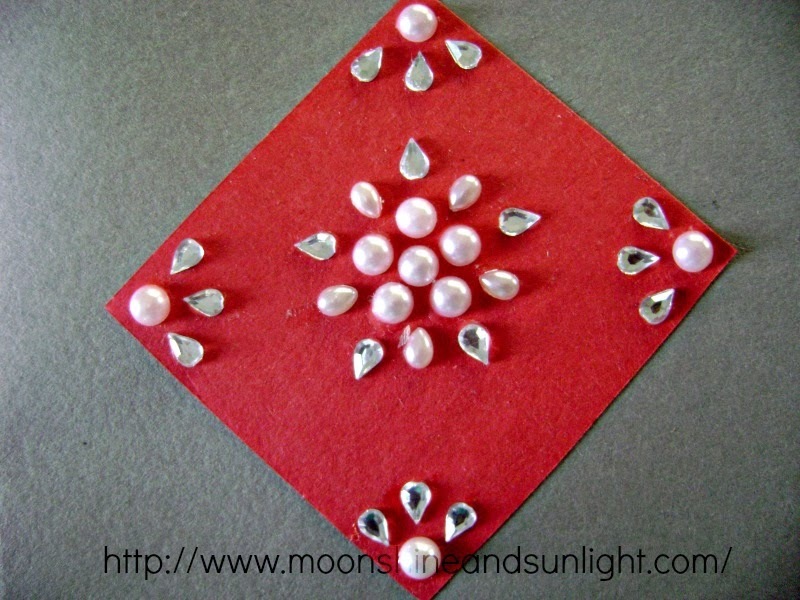 Now comes the time taking part , first on the squares arrange the pearls and rhinestones, decide the design. now patiently glue each and every component and let dry for sometime! 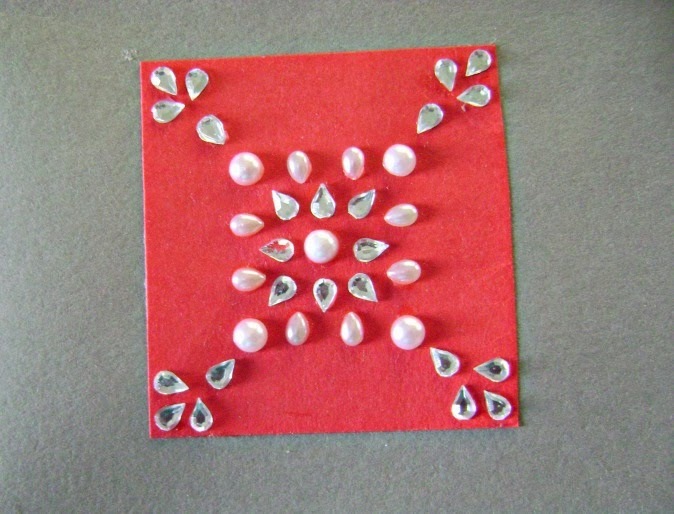 I did not and had to suffer a bit with the diamond shape I made ! When both designs are done place them properly on the main card! 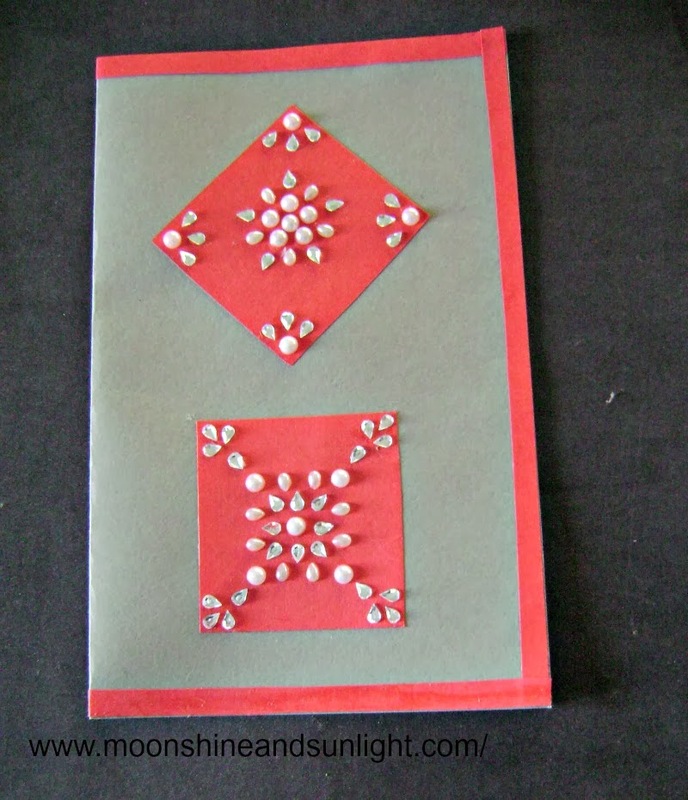 and use quilling strips of 5mm of the same red to add the border if you want to ! 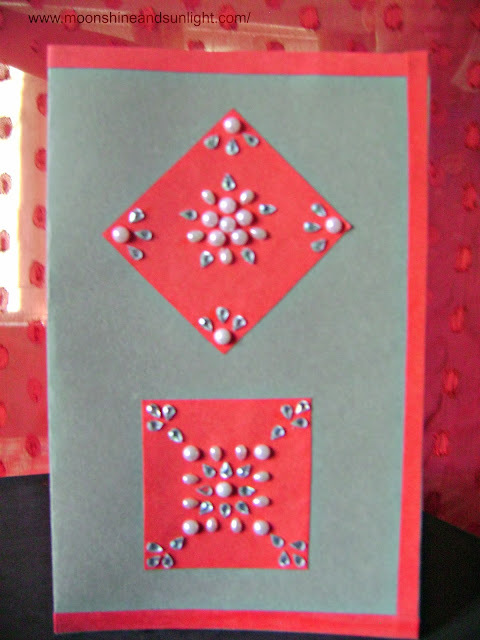 Usually we always associate yellow and red as a combination for Diwali , I thought it would a little different to replace the yellow with grey ! and for me it turned out to be great ! And that's my sweet little brother holding up the background for me ! He is the sweetest thing in my life!! 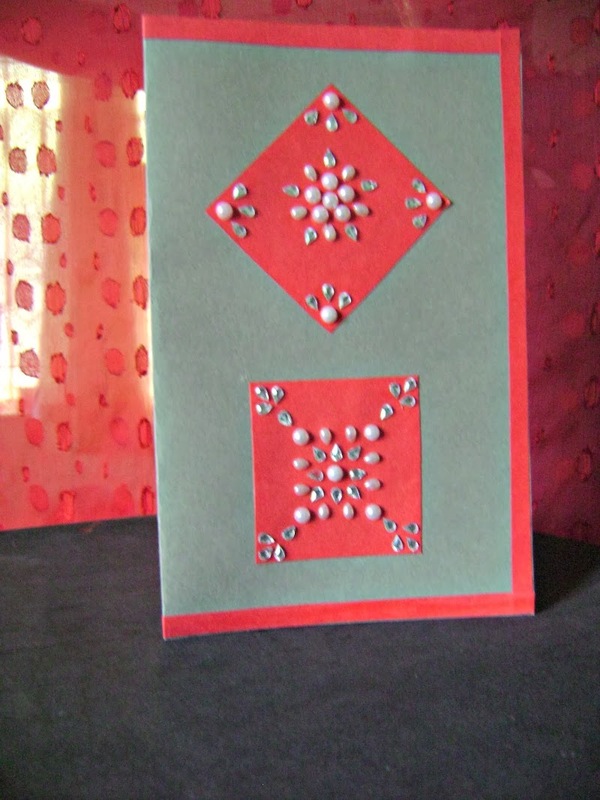 would love to know what you think about the card and hope the tutorial helps you ! That's a beautiful pattern and so neat too!! Thank you! Yup these patterns have to be neat ! Such a nice DIY! You are an artist! Aweeee thank you soo much dear ! 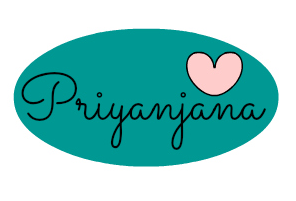 would love to see what you made ! Lovely card. Very attractive too. OMG!! thank you ! such a nice surprise!! yup this was for diwali anyways. thats great....u r creative dear! Thanks soo much dear !